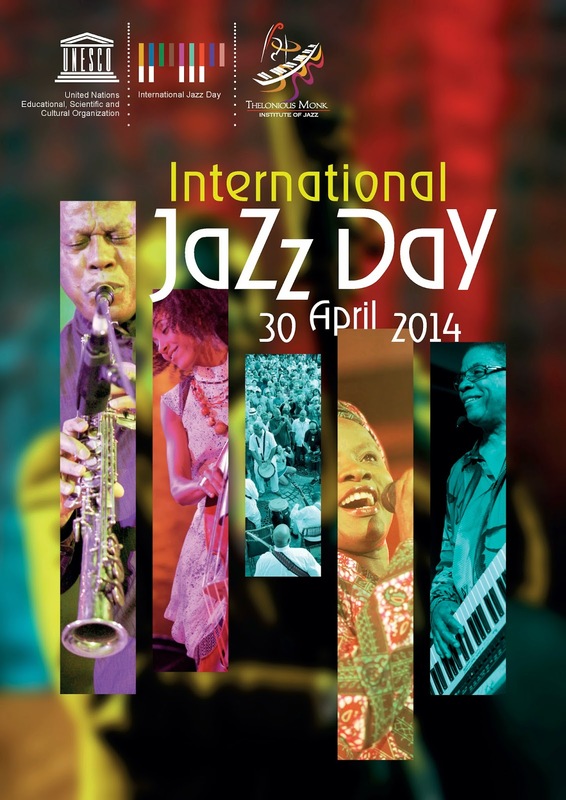 Happy Jazz Day - April 30th! All over the world, April 30th is celebrated as International Jazz Day, a three-year old global event sponsored by UNESCO and the Thelonious Monk Institute of Jazz. 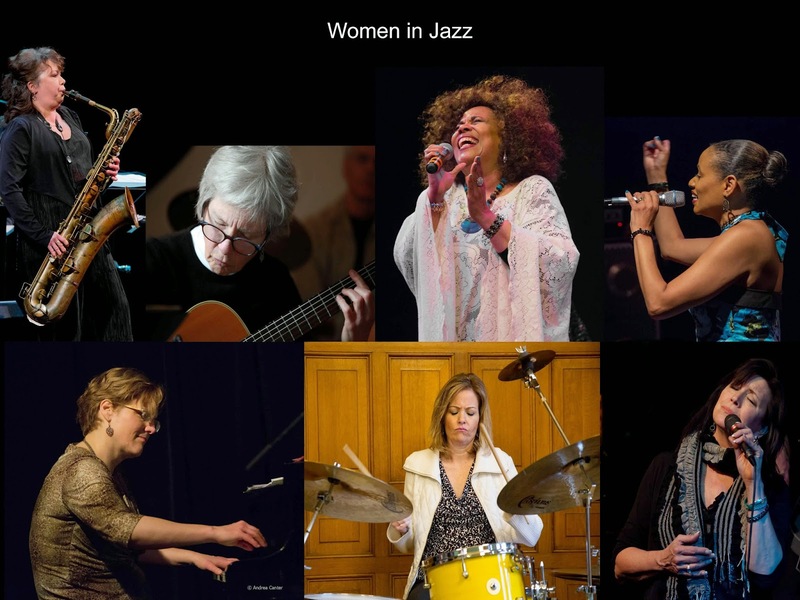 In addition to the internationally webcast live concert from host city Osaka, Japan, there are events ranging from club gigs to workshops to panel discussion registered as Jazz Day activities from all corners of the planet. Jazz educators. Hats off to the many school band directors who squeeze jazz into their budget-slashed curricula and/or direct school jazz ensembles with limited time, limited space, limited resources and still manage to put together terrific concerts and bring students to area festivals to learn and perform. And another nod to the many jazz performers who also spend considerable time in classrooms as clinicians, passing on their knowledge and even more important, their passion. Jazz can be contagious. Jazz venue owners/managers. This group is unfortunately shrinking as more clubs revamp their music priorities to better meet the bottom line. A full-time jazz club that really focuses on jazz is not easy to find, even in a large metropolitan area. Some nonprofit organizations are finding a niche as producers of jazz events and gigs, and we still have some clubs that cater to local and/or national acts. But those clubs that are part-time purveyors of jazz, local or national, need support to ensure musicians have opportunities to play, to build audiences, to keep the music vital and ever-changing. Jazz once per week is better than no jazz - we need to patronize such venues on jazz nights to remind owners that jazz still has an audience. Thanks to every venue that keeps jazz on the calendar. Jazz promoters. There's many ways to promote the music without performing or teaching or hosting. The Jazz Journalists Association exists to lend a supportive arena to those who write about it, tell the world about it, broadcast it, evaluate it as a serious art form, show the world what it looks like, and remind listeners to just go and hear it! Then there are those who organize and manage jazz festivals, from small neighborhood gatherings to the largest jazz events in the world -- the mega-festivals, and those who manage and promote individual performers. And there are the organizations that exist to ensure that jazz exists by promoting education and performance from the smallest advocacy foundation to the largest alliance. Jazz artists. The music has stayed alive for over 100 years because musicians devote their lives to it, even if doing so means continual debt, long hours of travel hauling instruments and music, performing at times before sparse audiences, and the hassles of gigs and contract negotiations. Jazz audiences. Remember the old riddle, "If a tree falls in the forest, but no one is a around, does it still make a sound?" If a jazz musician blows a riff in an empty club, does it still swing? Is it jazz if there is no one to react? There's art for art's sake, but is there art without response? Audiences range from kids in a classroom hearing an introduction to jazz history to residents of a nursing home enjoying a recording of Basie, from subscribers to jazz concert series to those fans who seek out after-hours jam sessions, from diners in a restaurant to bar patrons, from tourists seeking a "hot" night spot to neighborhood regulars, from those who simply dig the rhythms to those who can analyze that extended voicing. Jazz Day is a good time for all the consumers of jazz to think about the value of this music and how we can ensure another, and bigger Jazz Day. Every day. Keep jazz alive. It makes us "pleased and flipped." It's been Jazz Appreciation Month and on April 30th, it's the third annual International Jazz Day sponsored by UNESCO, and featuring hundreds of registered Jazz Day events throughout the world. Minnesota was the last of the 50 states to register this year -- but now at least two local venues have joined the international listing -- note April 30th gigs at Jazz Central (Kevin Gastonguay Quartet) and the Black Dog (Foreman/Feily/Schmidt/Musselman), ensuring both cities are on the map and, in both cases, boasting some of our most inventive young artists. 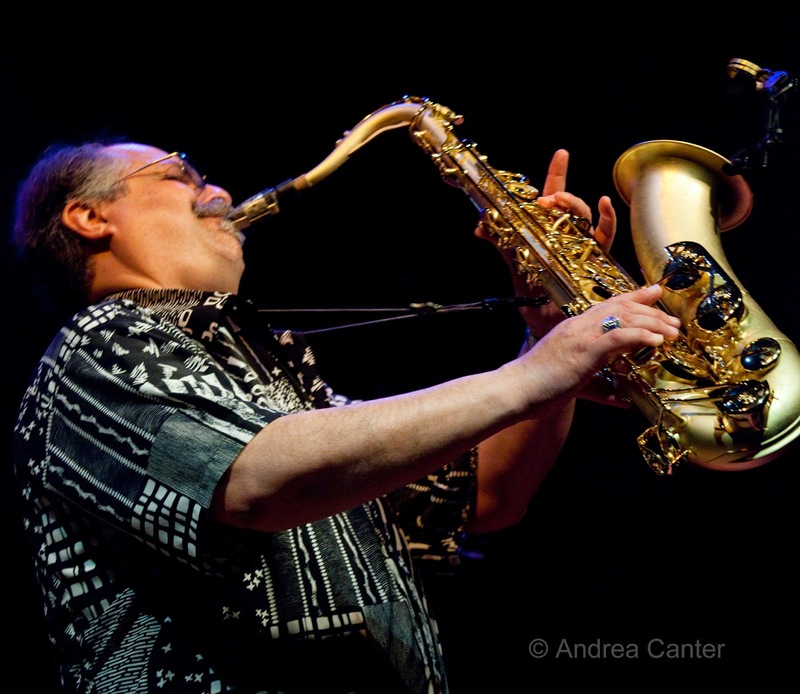 And of course, there is more jazz this week (including visits from Miguel Zenon and Joe Lovano; the return of the Atlantis Quartet, Jazz Noir and Soul Cafe; an Earth Day Celebration with Dave Milne's One World Consort) and on April 30th. Let's make every day Jazz Day! Friday, April 25. 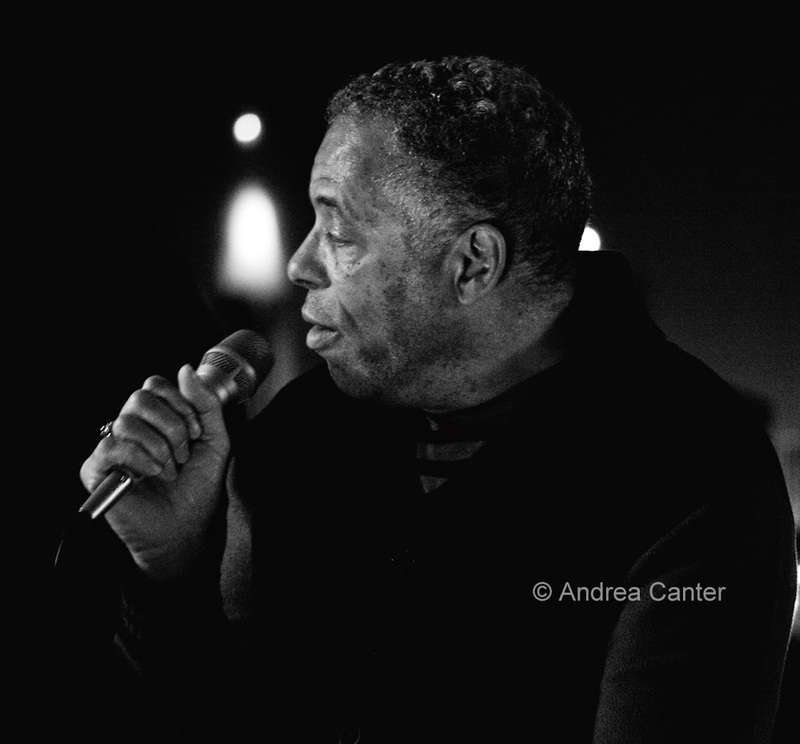 Busy individually and as a band, the Atlantis Quartet returns to action at Jazz Central on the Bridge Series. 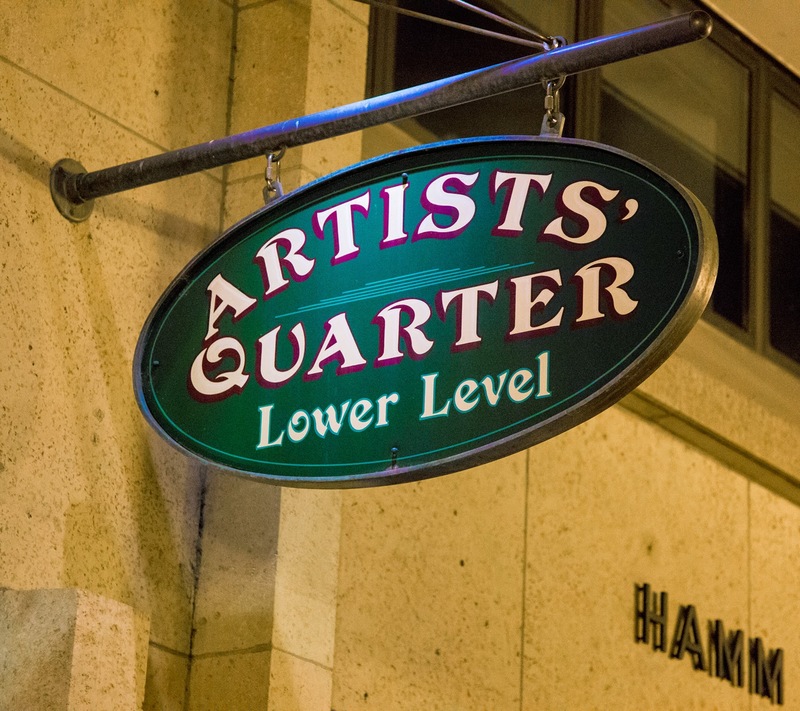 As a frequent attraction at the Artists Quarter, it's been a bit harder to catch this band of composers and explorers lately, but fortunately their music transcends venue. 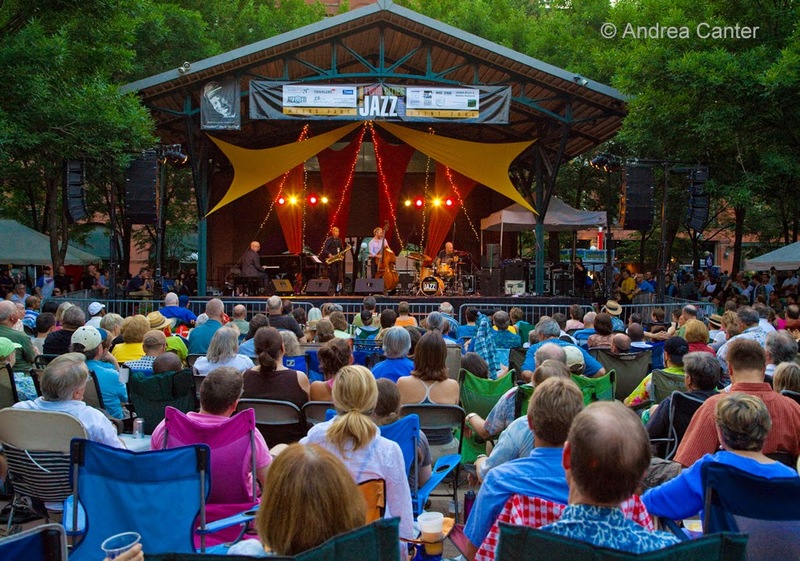 BTW, the guys will headline the Mears Park Main Stage opening night of the upcoming Twin Cities Jazz Festival! At Parma 8200, Thomas Bruce returns to soften your week-end stress levels with sophisticated vocals to accompany your pasta or dolce indulgences. Saturday, April 26. 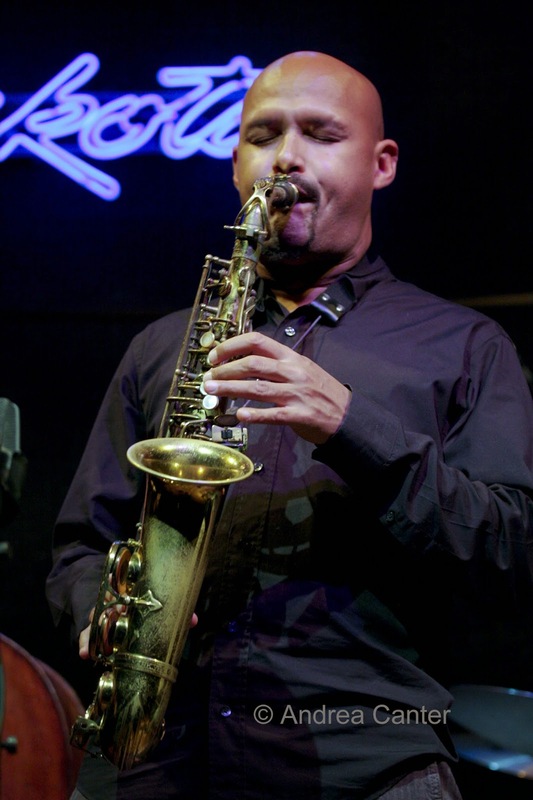 At the Hopkins High School Auditorium, JazzMN Orchestra closes out a season of dazzling concerts with one more, this time featuring one of the hottest alto saxophonists of the new millenium, Miguel Zenón. 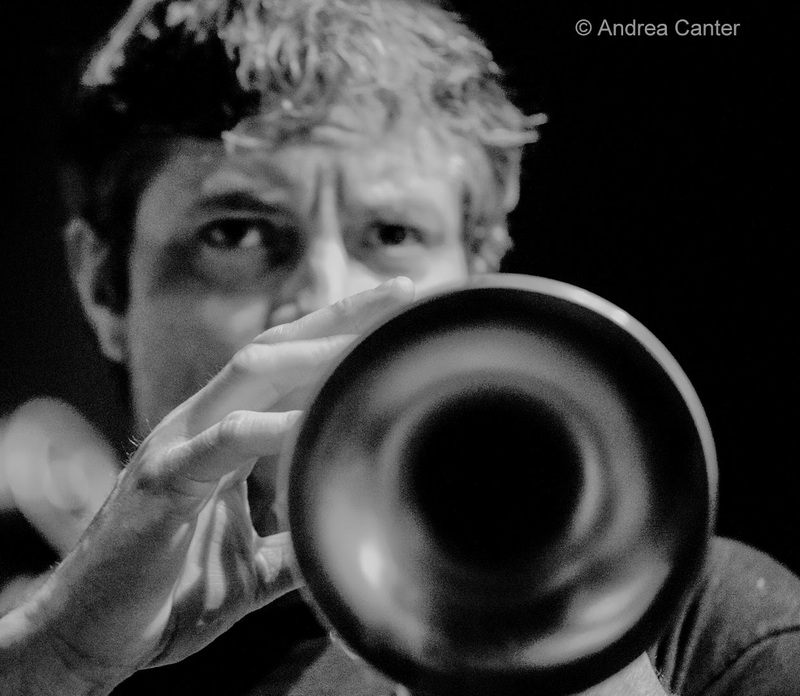 He's been to town with the SF Jazz Collective, of which he is a founding member, and he's appeared with his Esta Plena ensemble; this will be his first local gig with a big band. Expect to hear some injections of the folk traditions of his native Puerto Rico. And earlier in the day, come over to the MacPhail Center for Music (1-2 pm) for a free public clinic headed by Zenón. Sunday, April 27. Perhaps this should be Minnesota Jazz Day! 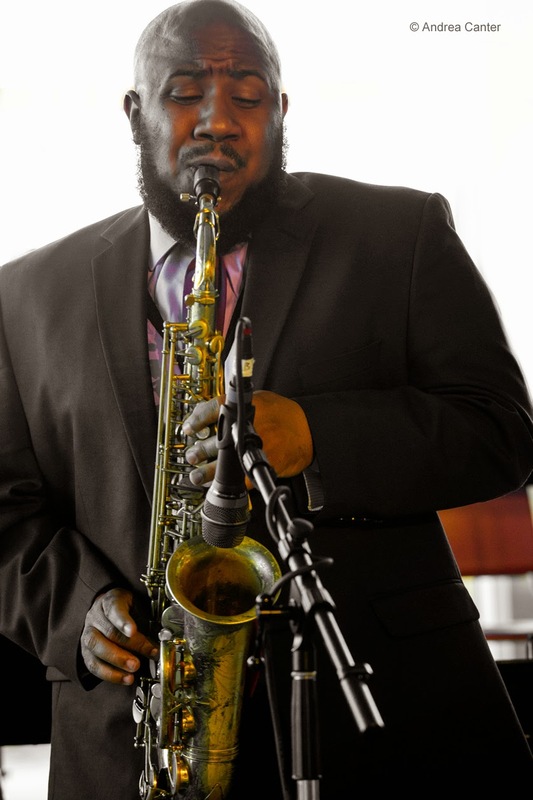 Start your day with brunch at the Icehouse and a new trio -- Mike Lewis (on bass, not sax! ), Jeremy Ylvisaker on guitar, and Adrian Suarez on drums. Mike and Jeremy play together in Alpha Consumer; Adrian gets around but most often with Graydon Peterson and Vinnie Rose. 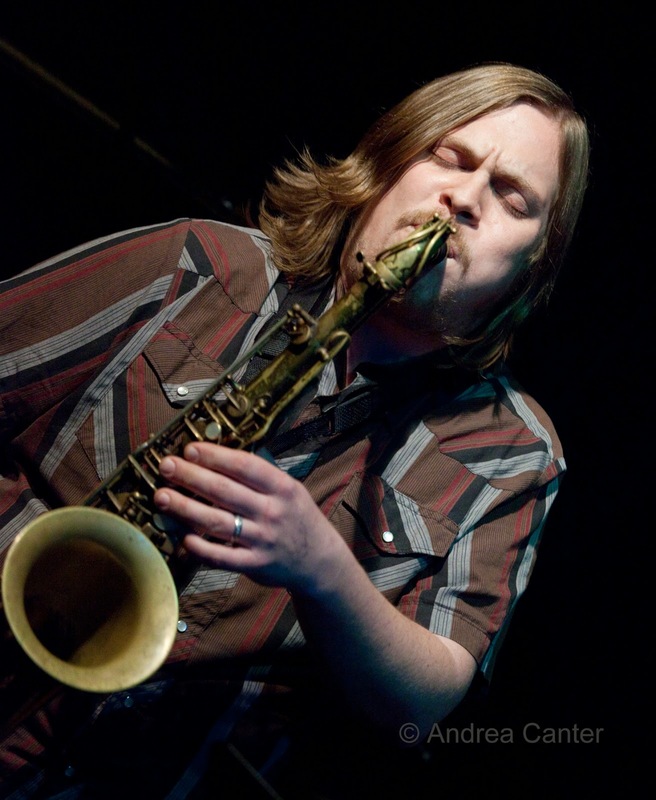 Mike is not new to the bass but his long tenure with Happy Apple and Fat Kid Wednesdays has kept his saxophone in the spotlight. Your choices later in the day might give you serious conflict: At the Dakota, KBEM radio brings the second installment of Jazz Noir, a live radio broadcast in the style of old-time radio. The Black Hand Side That Feeds You --a story about social upheaval and the rise of jazz on Minneapolis' North Side of the late 60s-- was written by Christina Ham and scored by John Penny, and features actors, vocalists and instrumentalists in two performances, the later show broadcast live. 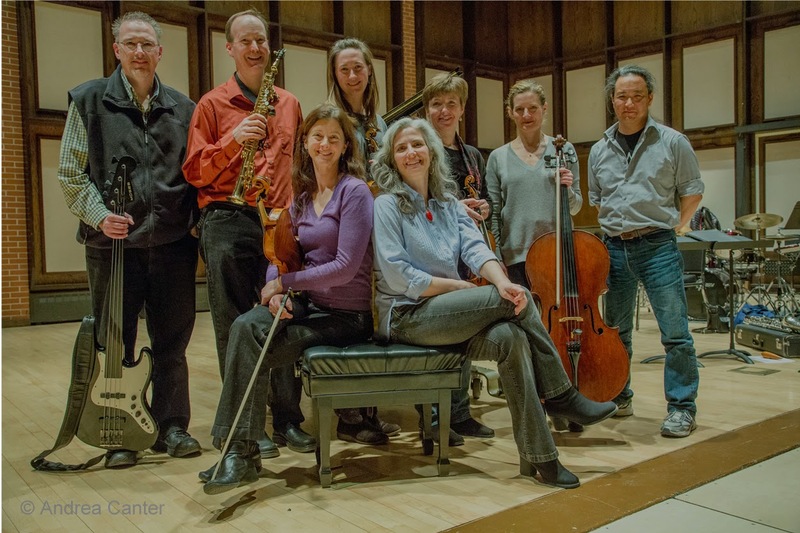 Or consider celebrating Earth Day with an unusual ensemble merging jazz quartet and string quartet under the leadership of saxophonist/educator David Milne, dubbed the One World Consort. Milne has rearranged Fred Strum's Mother Earth suite, which puts together classical and folkloric themes with an improvisational element. The concert takes place at Lake Harriet Spiritual Community with sponsorship from several area eco-advocacy groups. 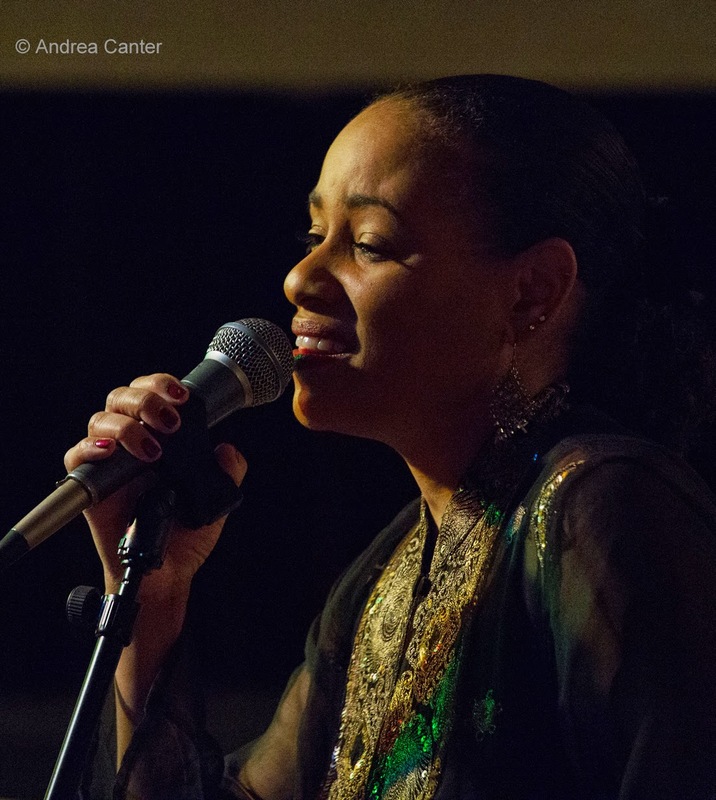 It's also a night of jazz and poetry with Soul Café at the Hennepin Avenue United Methodist Church, with a theme of "The Wisdom of Uncertainty." Soul Cafe's latest configuration includes Steve Blons (guitar), Dave Graf (trombone), Brad Holden (alto sax) and Darryl Boudreaux (percussion). Three unusual ensembles and contexts...all on Sunday evening. Monday, April 28. It's hard to come up with new accolades for Joe Lovano's Us Five, which returns to the Dakota for just one night. Lovano has always surrounded himself with great artists and composers, from his days with Woody Herman to more recent collaborations with Paul Motian, Bill Frisell, Hank Jones, and now a quartet with Jack DeJohnette and Esperanza Spalding. But perhaps Us Five has been the capstone of his career thus far, a two-drumset ensemble that has released three acclaimed recordings in the band debuted in 2009. 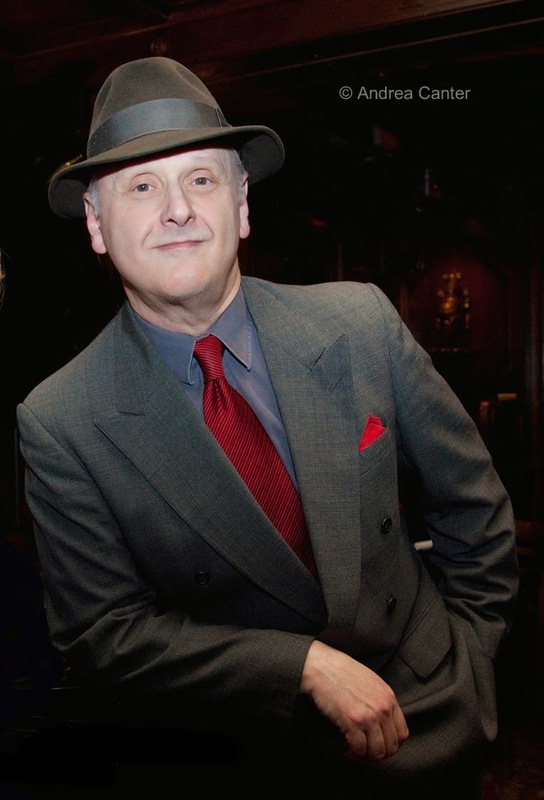 Spalding remains as bassist in the recording studio and occasionally on tour, but typically bass duties belong to Peter Slavov, who has proven himself more than worthy of the position, along with pianist James Weidman (Matt Wilson), drummer Otis Brown III (Lovano Nonet), and drummer Francisco Mela (Kenny Barron, Melissa Aldana, McCoy Tyner, and his Cuban Safari). Lovano never rests on his laurels, which explains his taking top tenor sax honors in the most recent Jazz Times, Downbeat and Jazz Journalists Association polls, as well as a first win in JJA's Multi Reeds category. Expect him to turn up with a taragato, G-Mezzo saxophone and Aulochrome in his box of horns. Tuesday, April 29. There's a fifth Tuesday this month, meaning Jazz Central can squeeze in another big band. Making their JC debut will be the Acme Jazz Company, directed by Doug Rasmussen, and it's also a celebration of their first CD. On hand will be vocal titan Arne Fogel, guitarist Joan Griffith, alto saxman Miles Mortenson, tenor saxman Bob Parsons, trumpeter Pete Davis, and guest Bruce Thornton on tenor and clarinet, along with the rest of the Company of topnotch big band artists. 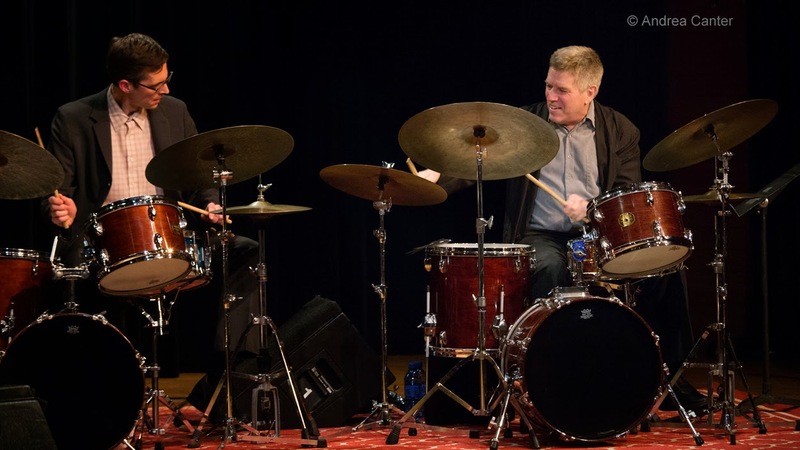 Acme has performed since 2008 and has amassed one of the largest collections of original charts in the U.S.
Wednesday, April 30, International Jazz Day. Perhaps a coincidence but International Jazz Day in Minnesota features two young hip bands on each side of the metro. 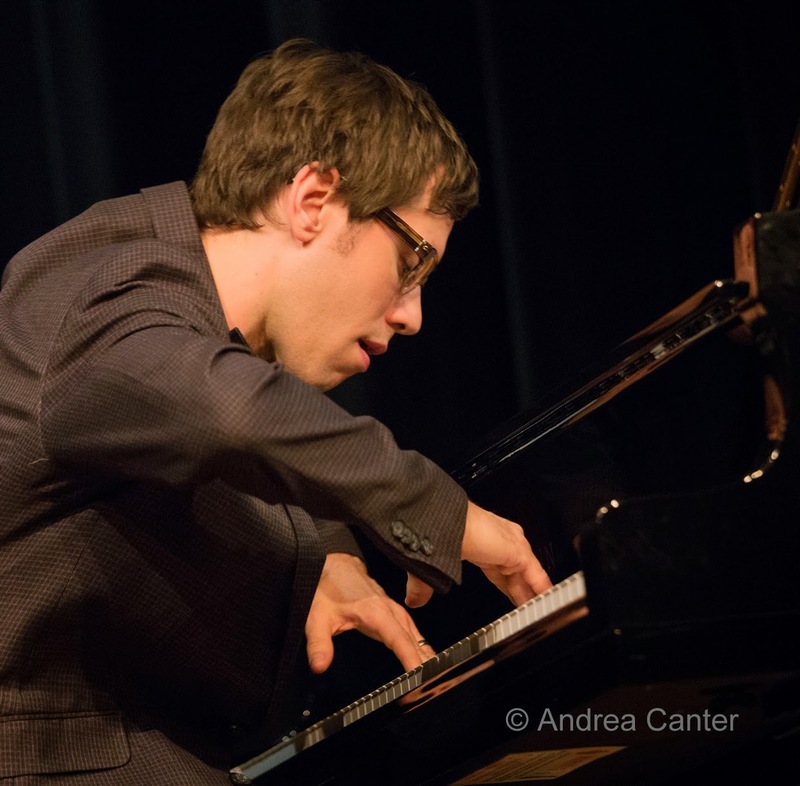 At Jazz Central, the Kevin Gastonguay Quartet features prolific composer and pianist Gastonguay (founder of Sol Spectre), Zacc Harris on guitar, Andrew Bergmann on bass, and Greg Schutte on drums. This is Jazz Day at Jazz Central, but don't expect purity -- Kevin is known for blurring the lines between jazz, R&B, rock and more. Over at the Black Dog, it's another gathering young explorers-- Andrew Foreman (bass), David Feily (guitar), Zach Schmidt (drums) and Dan Musselman (piano). They also straddle genres, blending jazz, indie rock and alternative pop. 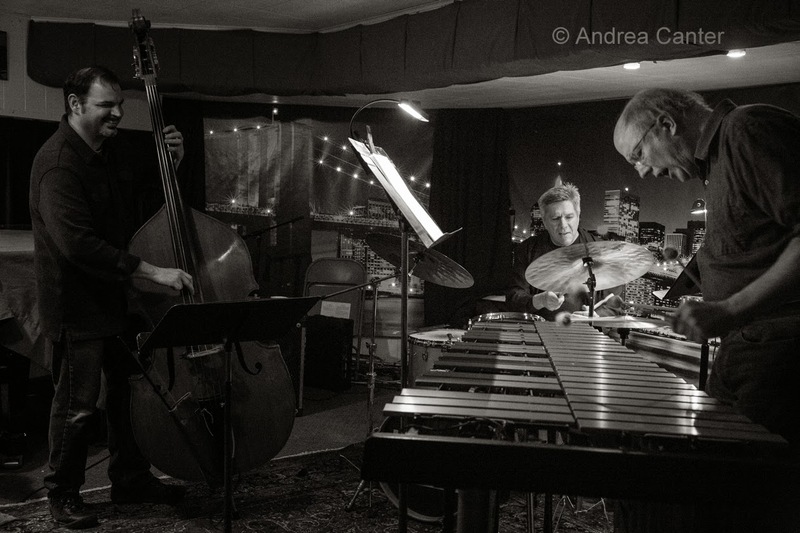 Good Vibes Trio CD release at the Icehouse (April 14). A week after a private gathering to preview his latest recording project, Chris Bates brought his Good Vibes Trio (with Dave Hagedorn and Phil Hey) into the often-raucous Icehouse for the official celebration. And what a joy to be in a venue with a room full of listeners as serious as the musicians on stage. The lighting was more punk rock but the music was post bop magic, drawn from the album as well as the out-takes, originals from band members and elegant arrangements of Mingus, Coleman, Coltrane and more. Good vibes, indeed. The Dakota Combo Annual School Tour (April 17). 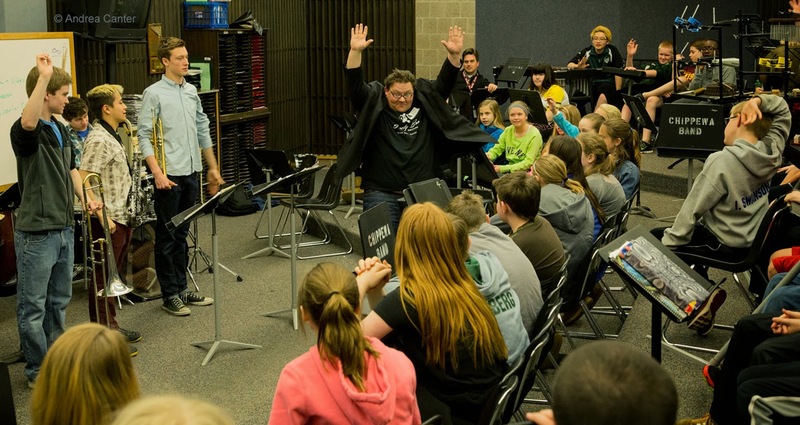 Every year since 2007, the all-star high school ensemble, the Dakota Combo, has taken a day to visit 2-3 metro-area schools to perform and inform. 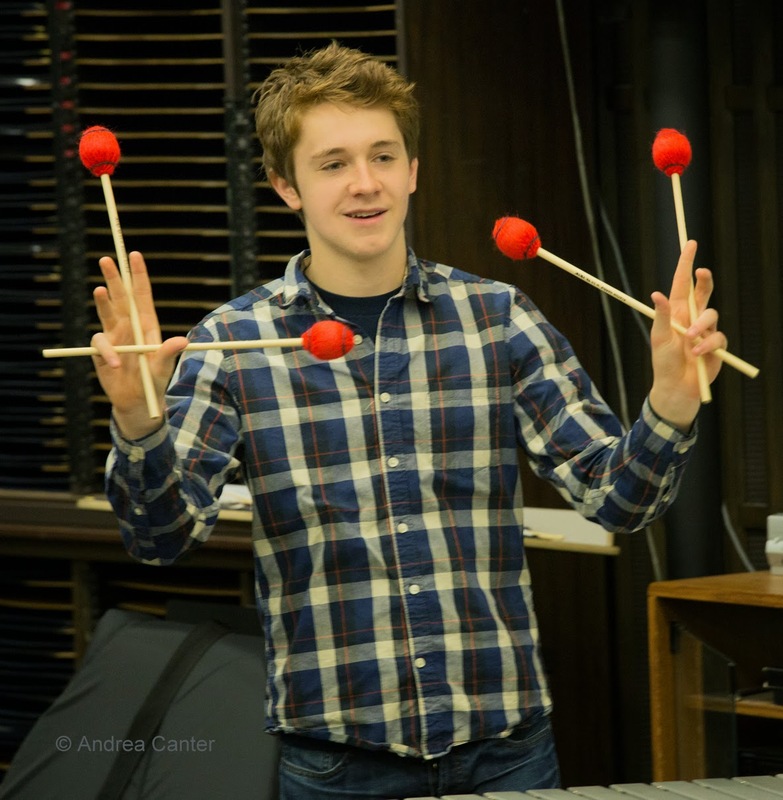 The touring day was initiated by Kelly Rossum during his tenure as Jazz Coordinator and combo director at MacPhail Center for Music. 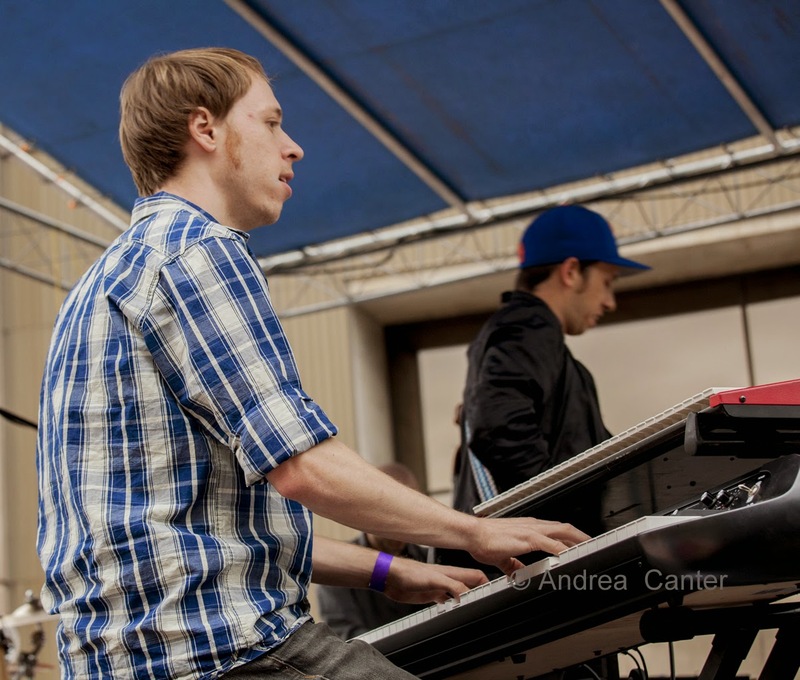 Since 2009, the Combo has been guided by Adam Linz. By all accounts, the 2014 tour was the best yet, in terms of audience and young artist enthusiasm as well as logistical comfort. Many in the three school audiences were only marginally acquainted with jazz, but asked great questions about the music, the instruments, practicing, etc. It was a good day selling jazz! Eden Prairie High School Band Fundraiser (April 17). It takes a village.... or at least supportive parents! The jazz program, as well as the entire music department, got a boost with a day of student clinics and an evening of performance featuring the five musicians of the Christopher McBride Quintet. Sponsored by parents, the evening was a fund-raiser for the EPHS band program, and featured three student jazz ensembles as well as two sets from McBride's band. 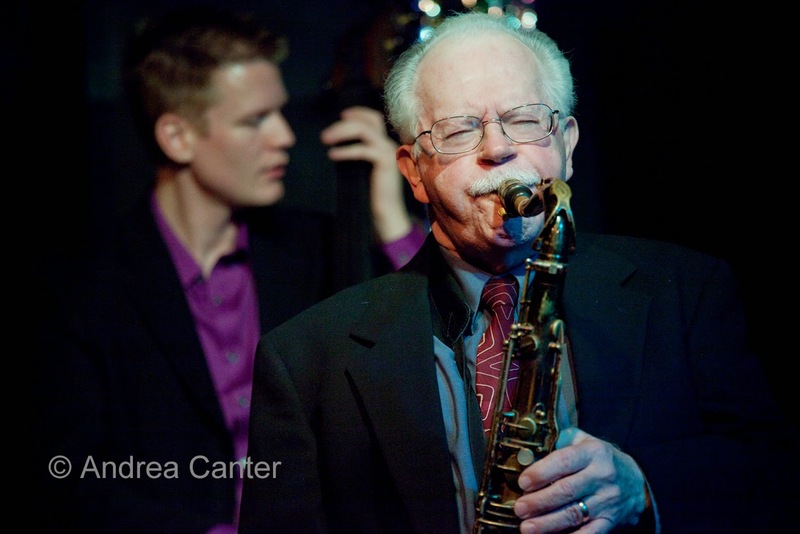 McBride (alto saxophonist) himself is a good ambassador for jazz-- his enthusiasm is contagious and his music is joyful. Hats off to band director Mike Whipkey, parents, and student musicians. 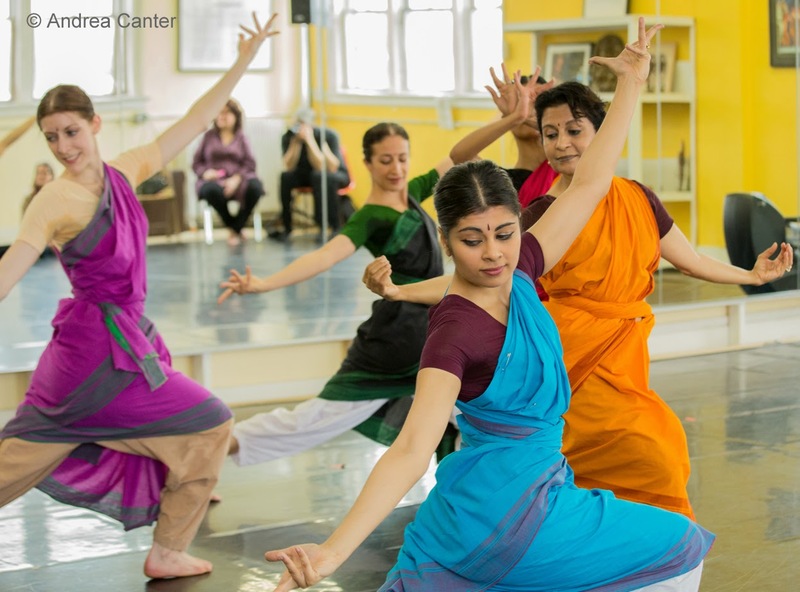 Ragamala Dance and Rudresh Mahanthappa, Rehearsal for "Song of the Jasmine." The only thing more cool than rehearsal will be the performances May 15-18 at the Walker Art Center. Walker co-commissioned this collaboration between locally based Ragamala Dance and world renowned saxophonist/composer Rudresh Mahanthappa, now in rehearsal for the world premiere performances. Traditional South India dance melds with jazz improvisation and traditional Carnatic music. My sneak preview is high on my list of cool things-- for the year. Tickets still available. Bobby McFerrin's spirityouall at Orchestra Hall (April 19). One-time resident Creative Director for the Saint Paul Chamber Orchestra, McFerrin now is only rarely on stage in the Twin Cities, but whenever he's in town, it's like we've been hit with a lightning rod of invention. McFerrin has found unusual and satisfying ways to manipulate the human voice -- aptly demonstrated by his multi-voiced solo rendition of the National Anthem and his delightful duet with local protegé Judi (Donaghy) Vinar. So it is snowing tonight. April 16th and it is snowing. Waiting for "Up Jumped Spring"? This spring has really hung us up the most, of any I can remember in a long time. Yet I get email from a friend spending April in Paris. OK, enough of that. We are spending April in the Twin Cities, and we are quite lucky to be here where there is too much jazz to mention it all for the coming week! Friday, April 18. Nat King Cole gets a double dose tonight. 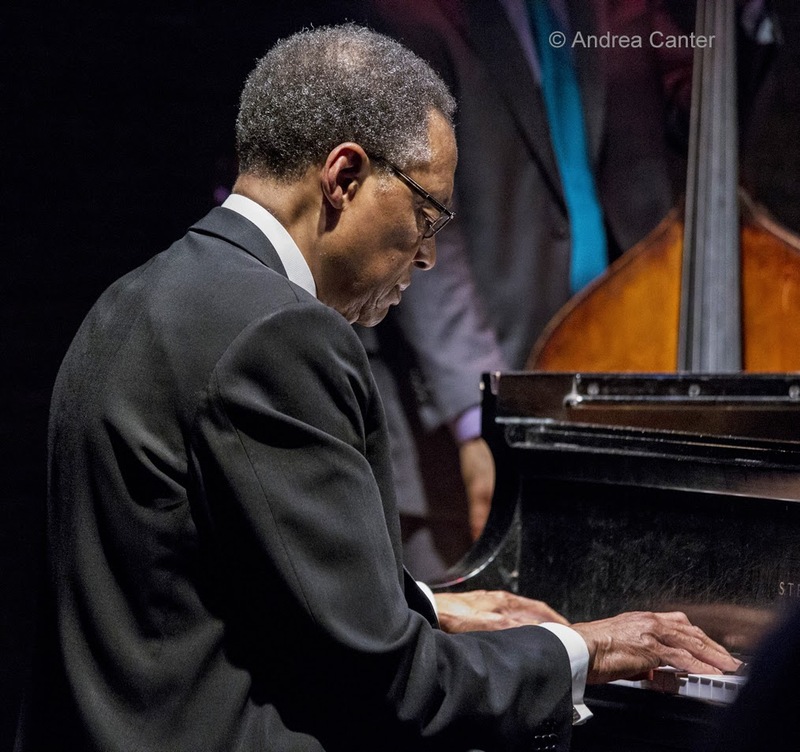 Straighten Up and Fly Right is both the name of Cole's first hit album and the show at Orchestra Hall with NEA Master Ramsey Lewis and Grammy nominee John Pizzarelli. Pizzarelli has twice saluted Cole on recordings, and tonight's piano/guitar and vocal duo promises to be the definitive Cole tribute. Lewis is bringing along his touring cohorts (Joshua Ramos on bass and Charles Heath on drums). 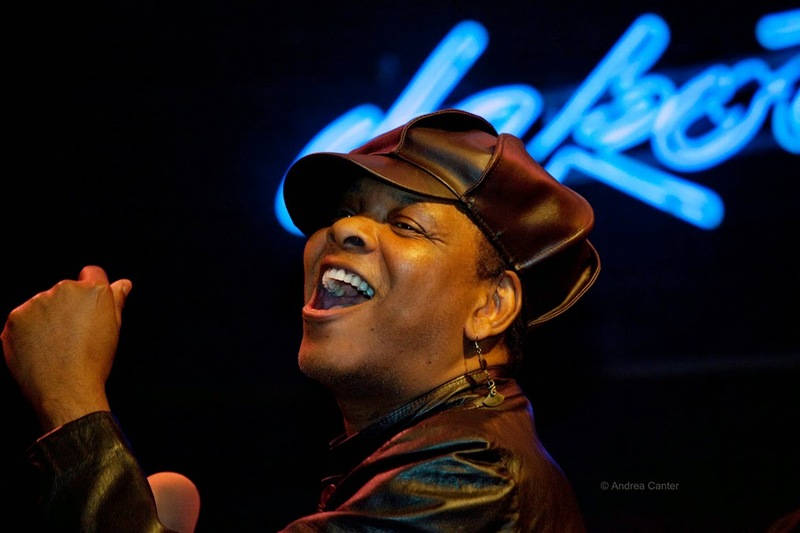 Just a block away, at the Dakota, Ginger Commodore hosts a birthday party for Dennis Spears, who has done his part to keep Nat King Cole alive through song and on stage, bringing his one-man Cole show to Kennedy Center and reprising the original at Penumbra. Ginger and Dennis are no strangers, as partners in Moore By Four and frequently appearing together at the Dakota. Good news-- there should be a set to go when the Orchestra Hall concert ends, and it is a short walk to the Dakota! More songs tonight - Maud Hixson returns to Parma 8200 with Rick Carlson and Steve Pikal. And two instrumental ensembles offer some cutting edge jazz, with Counterclockwise at Jazz Central, featuring Tanner Taylor in a seldom-heard B-3 organ night with Zacc Harris and Jay Epstein (their first gig since 2009), and the Donald Washington Quartet with son Kevin on drums, across town at the Black Dog. I can not figure out how to do it all. Saturday, April 19. 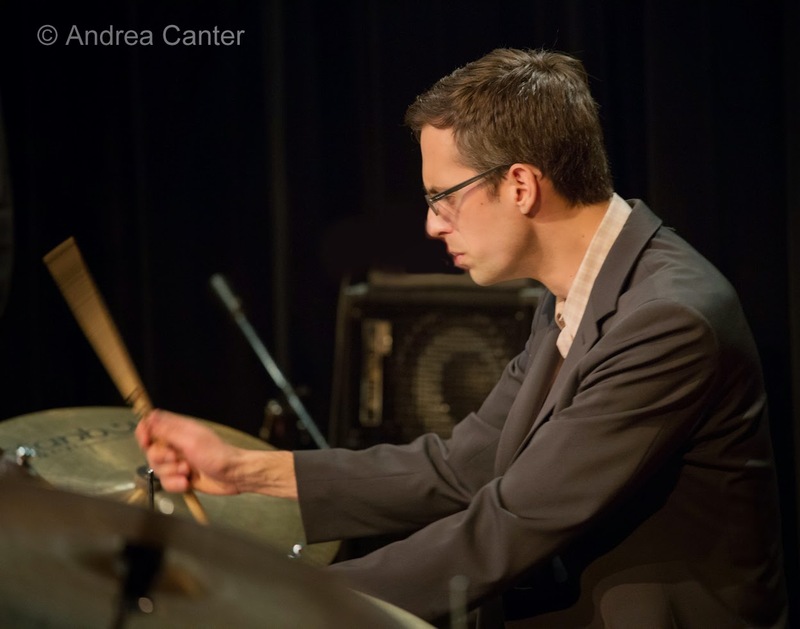 Jazz at Studio Z continues its third season with one of the newest members of the Twin Cities Jazz scene, drummer Cory Healey. Recently transplanted from Iowa, Healey is quickly gaining a reputation for his chops behind the trapset and his creative compositions. 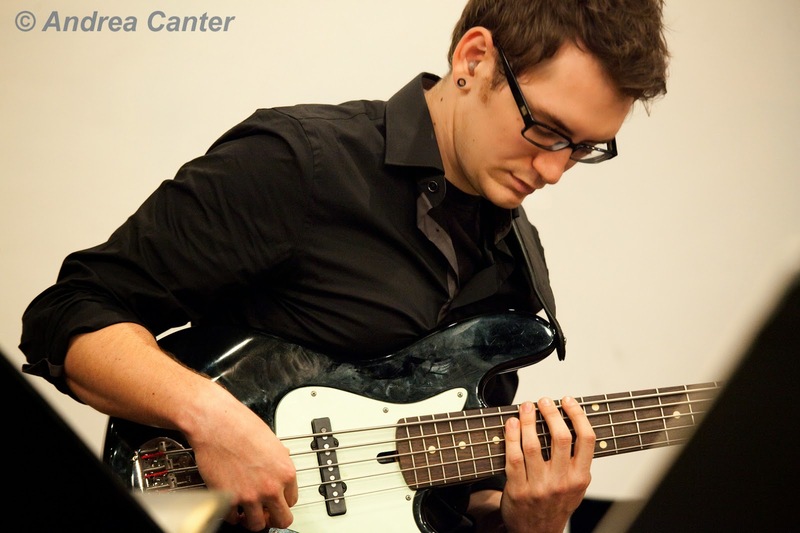 His "4Tet" tonight includes another young hot shot, trumpeter Jake Baldwin, along with guitarist/series curator Zacc Harris and Happy Apple's bassist, Erik Fratzke. For sure, there will be no ice left after this show. And there's a free workshop at 6 pm, with Healey sharing insights about rhythms of the traditional music of the Indian subcontinent. The 4Tet might end early enough to head down the block and take in most of the Steve Kenny Quartet at Sweet 317 above the Black Dog. 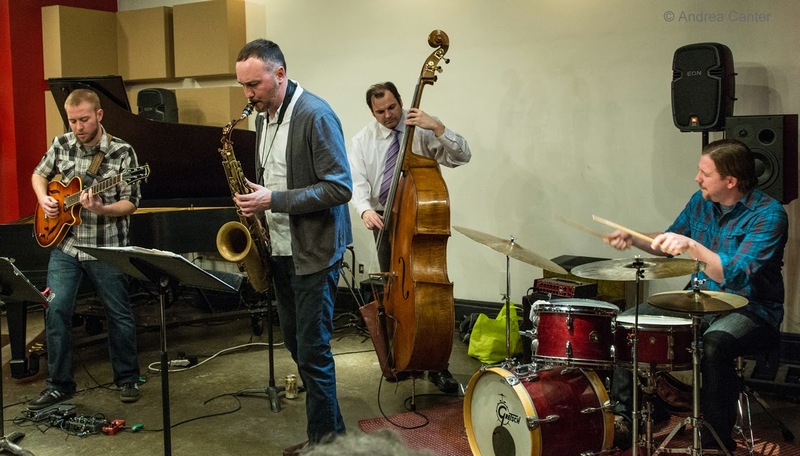 This new salon-like space is starting to book some serious talent -- the quartet tonight features Kenny, Brandon Wozniak, Jeff Bailey and Babatunde Lea digging into Monk and more. That's pretty serious! Fans of improvised vocal music will find plenty at Orchestra Hall tonight as Bobby McFerrin returns with his spirityouall project -- an exploration of his diverse influences delivered as only McFerrin can. In addition to influencing just about every modern jazz vocalist, McFerrin has particularly left his imprint in Minnesota after five years as Creative Chair for the SPCO in the 90s. Monday, April 21. Two vocalists from different generations and different edges of the jazz idiom are in town tonight. 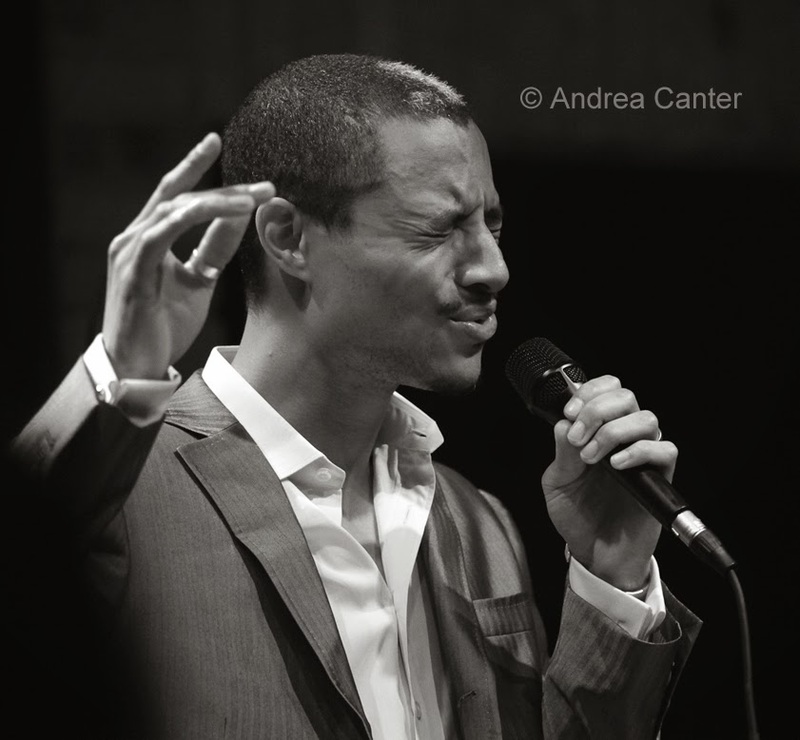 Hometown hero and South High alum José James returns to The Cedar with his signature blend of jazz and soul, joined by young Monk Competition winner Kris Bowers on piano. 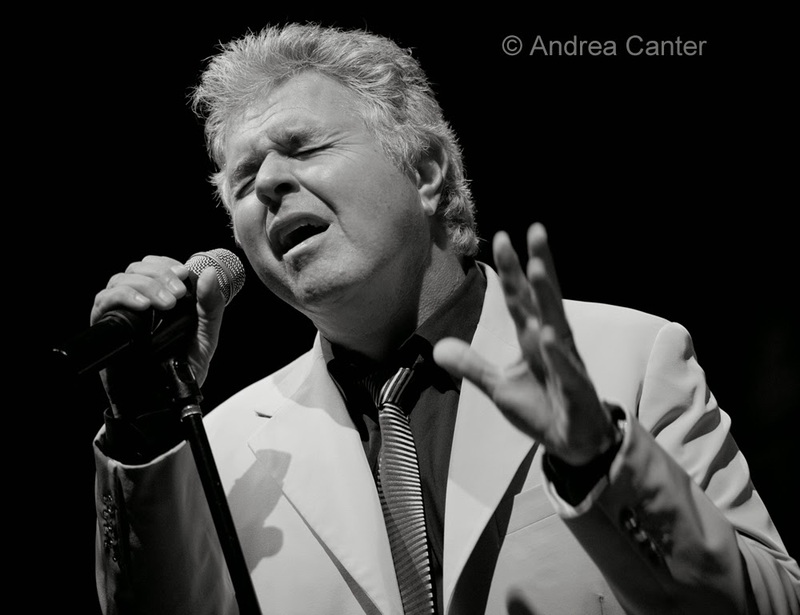 At the Dakota, Steve Tyrell croons and soothes on his first of a two-night stand, elevating the Great American Songbook and more contemporary fare to the level of a Vegas night club show. Over at Jazz Central, another Haining is in the spotlight. Tonight it's Preston's turn. The recent graduate of the University of North Texas plays bass and trumpet, meaning he should always find work. He's on trumpet tonight, with backing from brother Trevor on drums, Graydon Peterson on bass and Tanner Taylor on piano. Tuesday, April 22. The Twin Cities is becoming a big band mecca. 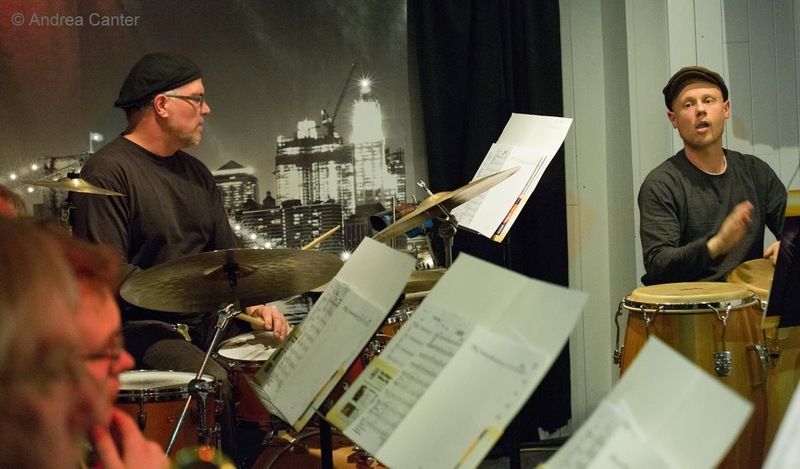 Part of the Tuesday night big band series, the newly formed Twin Cities Latin Jazz Orchestra holds another "rehearsal" under the leadership of Geoff Senn and Mac Santiago. The rest of the band is a who's who, cross-generational corps of Latin-savvy artists. Over at Café Maude, swing and sway with Rick Carlson on keys. Wednesday, April 23. Zeke's Unchained Animal might never be the same! Vocalist Lila Ammons brings a sophisticated approach to song that seldom is heard in a restaurant/bar setting that leans more often toward young generation pop and funk. She's on stage with her quintet and likely will sample from her outstanding CD, The Nearness of You. If you are looking for something more active-- how about swing dancing with Retro Swing Sister (Maryann Sullivan and Rhonda Laurie) at the Eagles Club in East Minneapolis? And you can just sit back and listen if you prefer, but your feet will probably insist on a few spins around the floor when this swing band takes off! Thursday, April 24. 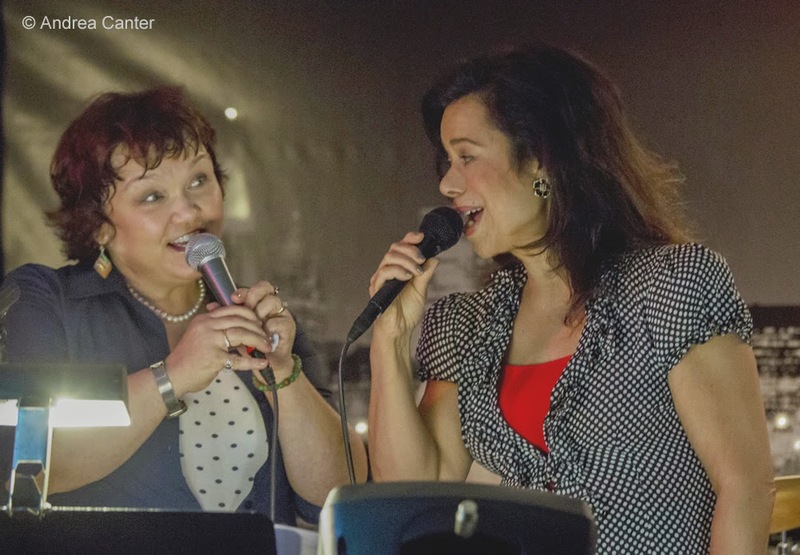 Hats off to Maryann Sullivan and her expert scheduling of the Vocal Jazz nights at Jazz Central. Tonight is another exceptional choice, Charmin and Shapira. 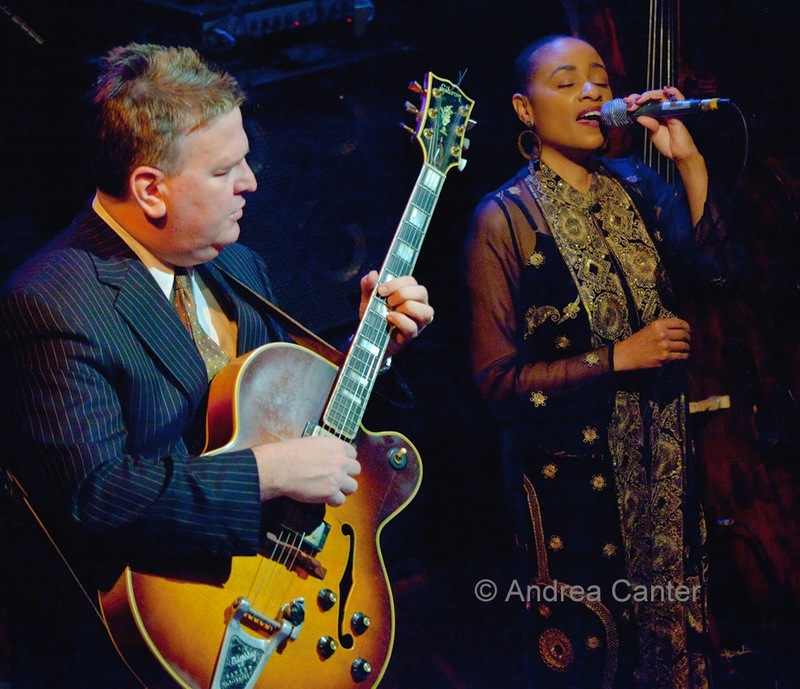 Charmin Michelle and Joel Shapira have been musical partners for nearly a decade, more often performing these days in quintet format, making this intimate duo in this intimate space a real treat. Swing, samba, balladry and more. 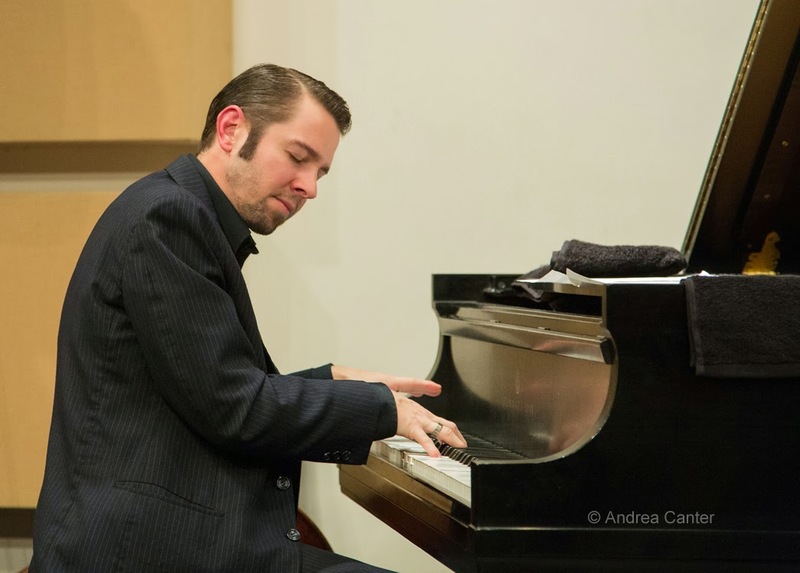 April 6, Creation Audio "Parlor" Music, Chris Bates' Good Vibes Trio. 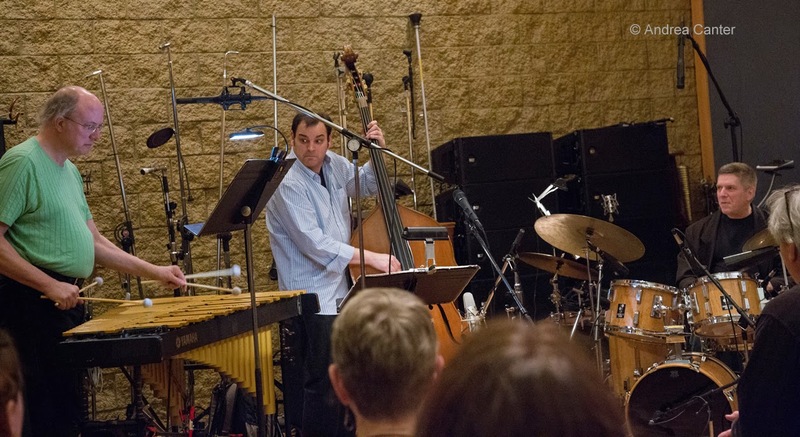 In what will hopefully be the first of many such "parlor concerts," Steve Wiese opened the studio at Creation Audio to a small audience to hear a preview of the Good Vibes Trio's debut, self-titled recording. The music was actually recorded at Terrarium Studios but no matter, the studio with real sound engineers managing the acoustics was an ideal setting for such glorious music, from Mingus to Coltrane to Bates, Hagedorn and Hey. 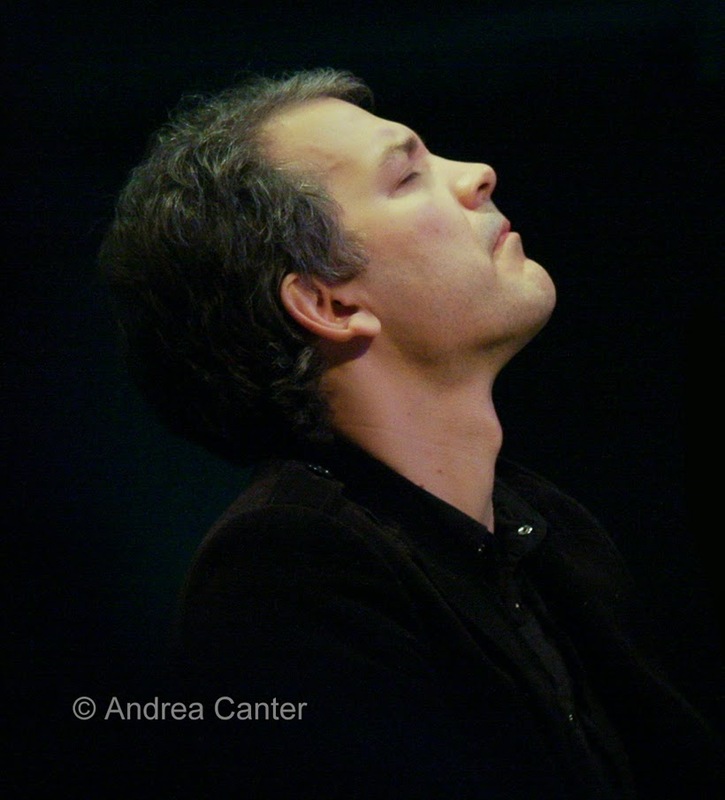 April 8, McGuire Theater (Walker Art Center), Brad Mehldau and Chris Thile. Mehldau alone or with his trio (who performed the next night) is a major force in American jazz, but who knew his most formidable partner yet would be a bluegrass mandolinist? Thile seems to have the chops to be a major force in anything he attempts, and with Mehldau he proved to be a perfect fit to the sounds of jazz, country, folk, classical and of course bluegrass, all of which melded together beautifully in this unexpected duo format. But the highlight of the evening was an even more unexpected, breathtaking vocal performance by Thile on "I Cover the Waterfront." 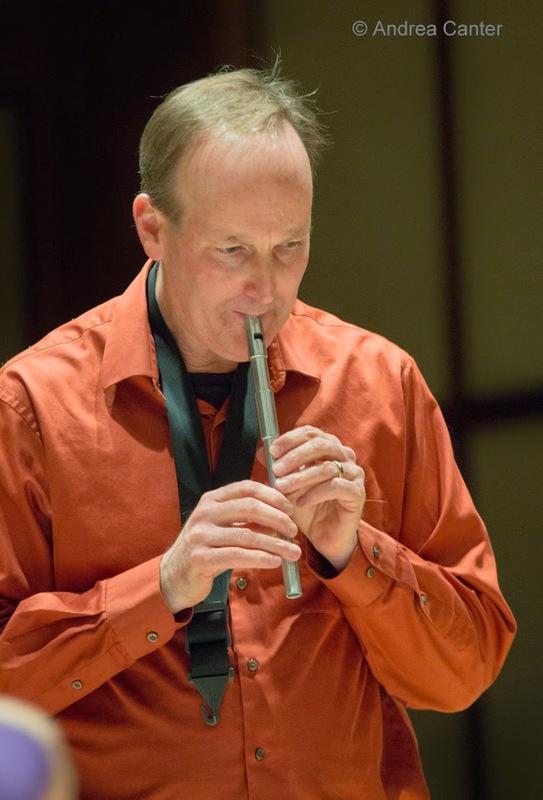 April 9-10, Landmark Center's Weyerhaeuser Auditorium, Matt Slocum and Friends. 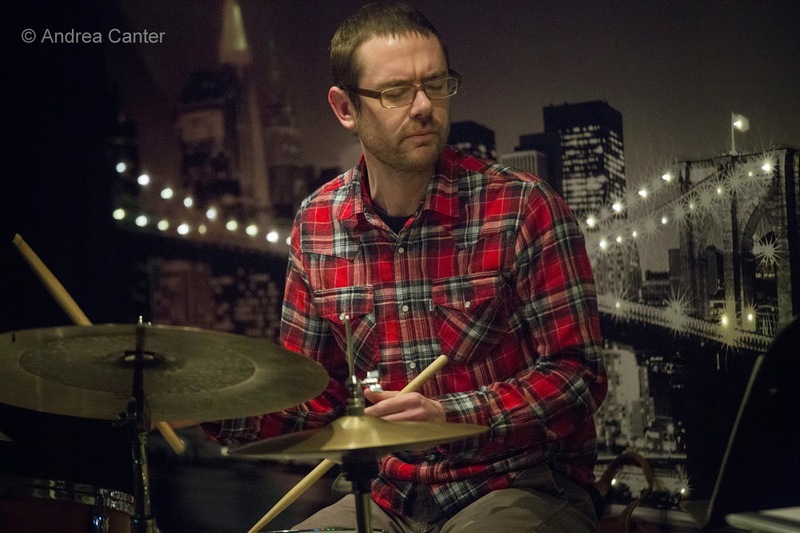 Former area resident and now acclaimed drummer Matt Slocum finished a short CD release tour back home, setting up his drumkit for two nights at Landmark Center and inviting some friends to play additional sets. I caught night two, featuring a stunning solo set from Bryan Nichols, the centerpiece trio set from Slocum (with Sam Yahel on piano and Massimo Biolcati on bass), a two-drum duo with former mentor Phil Hey, and the closing set from the Dave Karr Quartet with Hey on drums. (The Phil Hey Quartet with second drummer was featured on the previous night.) Each set had its own agenda, overlapping influences and personnel giving the full show some cohesion. Favorite moments-- the friendly fire of the two-drum interaction; the friendly exchange between Hey and Karr in the closing quartet. April 11, Bethel College Benson Great Hall, Jeremy Walker's 7 Psalms CD Release. 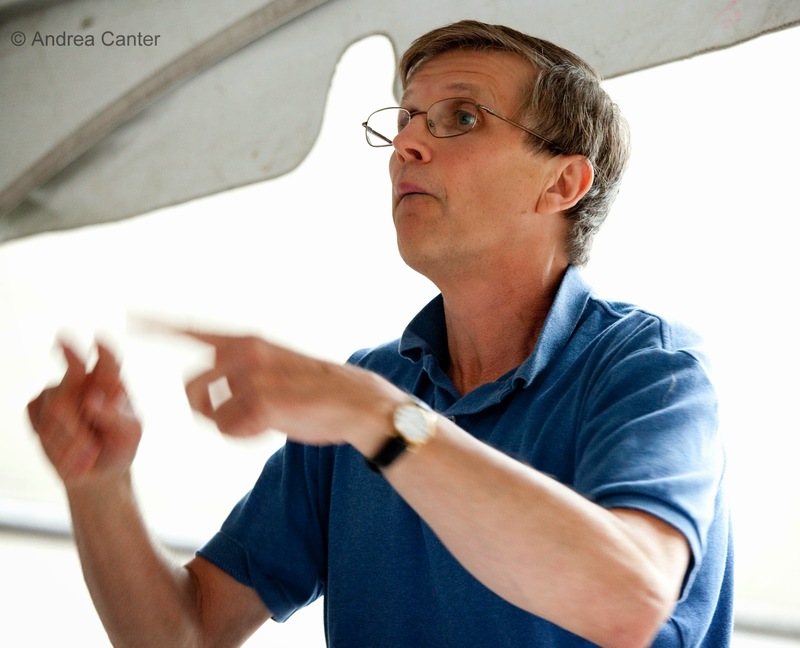 A year ago, Jeremy Walker premiered his concert-length suite, 7 Psalms. A few tweaks to the score and a new choir later, Walker recorded in a St. Paul church and released the result in a St Paul college hall. 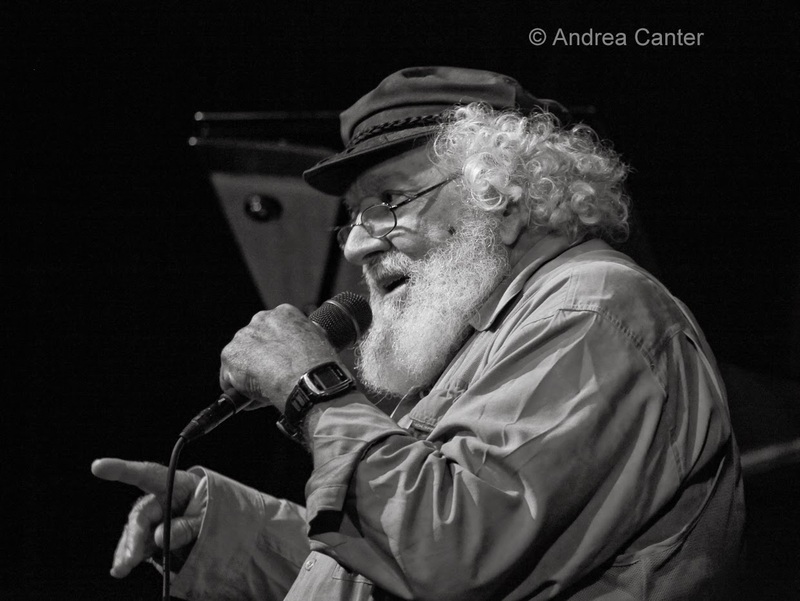 The texts were simply taken verbatim from seven of Jeremy's favorite psalms; the music bears the imprint of Walker's muse Duke Ellington, as well as other influences from classical and jazz idioms. 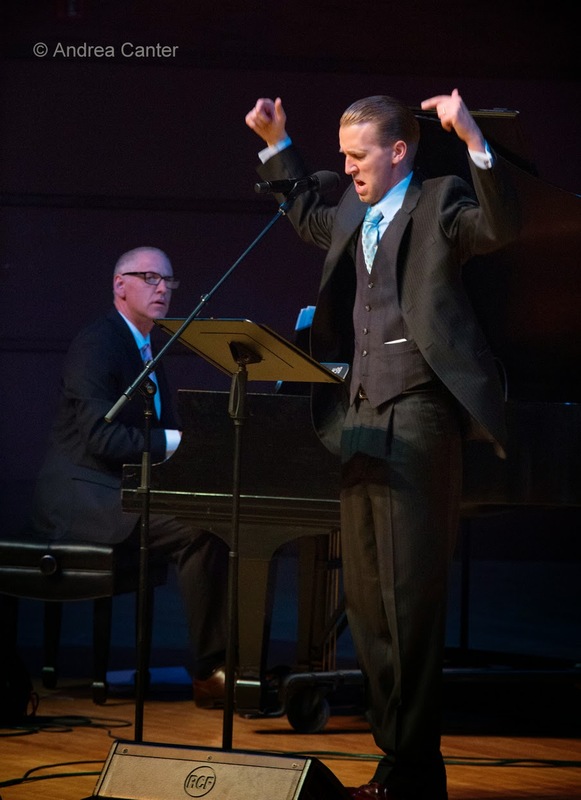 Vocal soloist Jason Harms and the 17-voice 7 Psalms Chamber Choir added some soulful energy to an already-soaring score; saxman Brandon Wozniak played High Priest, honoring Coltrane. April 13, Jungle Theater, Connie Evingson and Jon Weber's "Desert Island Picks." Sharing the stage on a Prairie Home Companion cruise, Connie and Jon started listing the music they would hope to have in hand if stranded on a desert island. 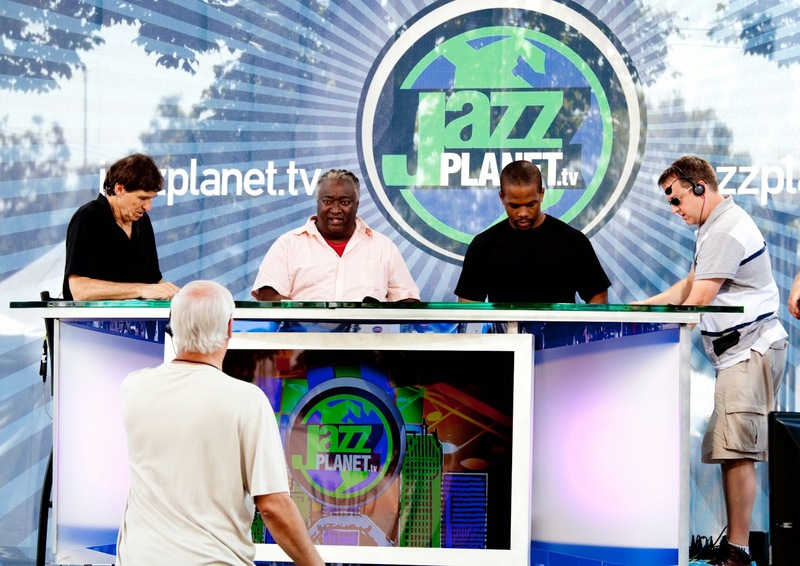 Soon they had the ingredients for a Jazz at the Jungle show, adding bassist Gordy Johnson. Their choices included Peggy Lee, Lerner and Lowe, Dave Frishberg, the Beatles, and more, with special turns by both Weber and Johnson on solo vocals and a smirk-inducing "My Attorney Bernie" by Connie.